iOS launched wide variety of devices. And the performances among these devices are certainly vary from each other which indeed depend upon the OS capacity. New device which has been launched recently benefits the most from the older once regarding the criteria of Update. This not seems to be true at all instance, iPad 2 also used to get good updates compared to new devices. Considering towards the previous generation like iPhone 5, 5s, 5c, iPad 4 doesn’t seem to have a good updates. They can use features like AirDrop, and Non-Retina iPad will receive some good improvements. 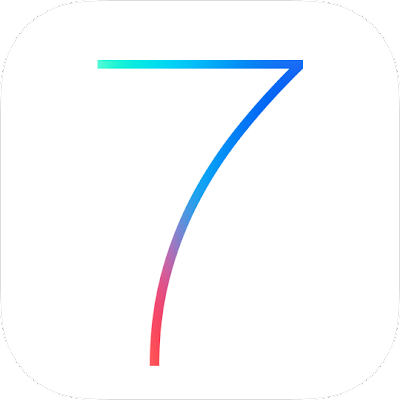 Now let us see some trick to deal with iOS 7 and gain a better knowledge to use iOS related devices. Are you thrown to often share media to other devices through Bluetooth or Wi-Fi. Then this AirDrop offers you to quick share or share at a much faster rate compared to your original device sharing rate. If you just want to send image click share and share button will appear in share sheet. You use to share but not through Bluetooth unless you have an iPhone 5, fifth-gen iPad touch or fourth-gen iPad or an iPad Mini to avail the Adhoc option. Apple has improved privacy settings in Safari Web Browser. By enabling this option you can block cookies, and also it avails the option to detect phishing sites. Now iOS has improved and it provides the option of Do Not Track flag. This really notifies you when navigating towards websites that contain these setting and prevent you from your confidential data. Also these features are not only supported in desktop version it offers in mobile browsing too. User need to make a note that these options are disabled by default. Users make sure to turn on and then surf. To enable this option go to Safari setting page. Now safari has offered dedicated search field on mobile. Apple pushing the Smart Search field to mobile that combines the URL bar and the search bar.These things are similar to the Chrome’s Omnibox that offers this option first. It can be implemented well and configure those according to your needs. To Configure this you need to toggle in Settings to turn or torn off the search engine and also make use of auto-population which offers you the best search results. The rate if Multitasking has significantly improved in iOS and some application can be refreshed automatically in background. But this feature can react back to your battery life. So it is better to turn off them. Apple to overcome this situation has a better toggle for background refresh. So no issues related to this. You disable to improve upon battery life. Though this is not unique application of iOS 7, but still it is very useful. This allows you to configure the content that need to be in Spotlight on your device. This also will drain your battery life. If felt that this is not required then better to turn off for saving battery life. Unique and top new feature to iPad 2 and iPad mini user is Retina. When you run this on iPhone 2x the visual appear better compared to iOS 6. This is mostly used by iPhone since the third generation. Apple also uses Retina assets of app on Non-Retina iPads.